Ever heard of Tri-Cross - yeah me neither. Again, I was allowed the wonderful opportunity to review a totally new product to our homeschool. 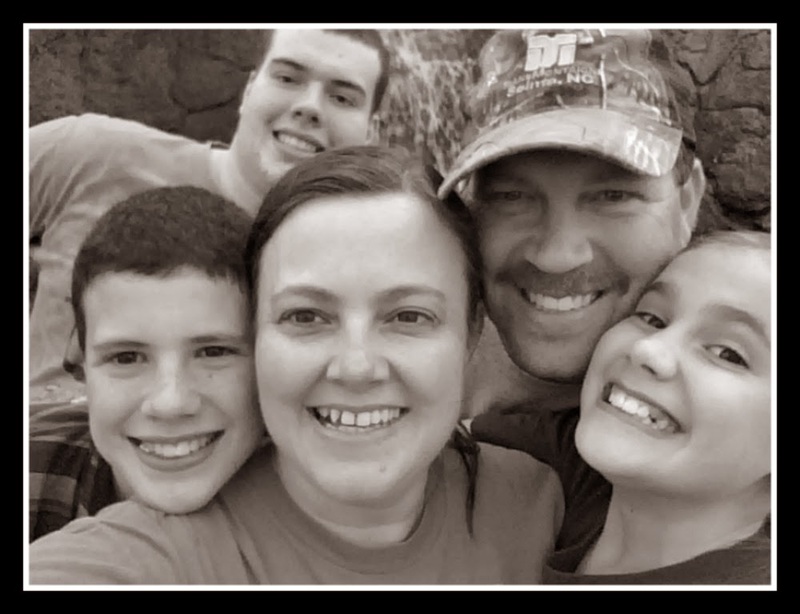 Who knew there were so many products out there for homeschoolers!? 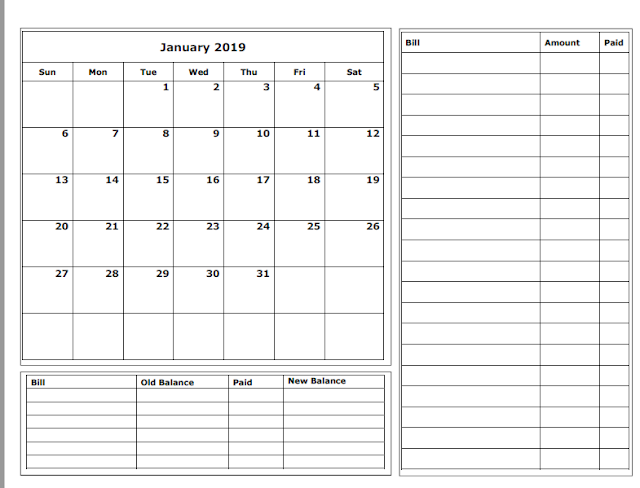 Actually Tri-Cross is not only for homeschoolers but kids of all ages and of all schools! 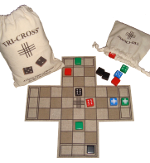 Tri-Cross by Games for Competitors is becoming known as "the new chess". It is such a simple game and can be played so quickly that it has instantly become a family favorite. When I say simple, I don't mean in terms of strategy. 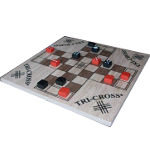 Tri-Cross really keeps you on your toes as you anticipate what move your opponent will make next. Stephen, the strategist of the family, who is in 5th grade and 10 years old, especially enjoyed this one. There are many different ways to play the game but we started with the basic one. The object of the game is to get one of your pieces in the center of the board for 4 turns. Generally, you can jump pieces according to value. For instance the 6 can jump the 5, 4, 3, 2, and Tri-Cross. The Tri-Cross, however, can jump the 6 only. All other pieces fall into normal number place value. We all played the game and Sarah who just turned 8 had the most difficult time with it. With help though, she gradually became better and better. She also uses the instructions that came with the game right by her side to aid her memory in what can jump what. The game also came with a travel size version. We haven't really put that in to action but I can certainly see where it could come in handy! I plan to pack it next month on the our plane trip to Arizona! Here is a short video describing the play instructions of Tri-Cross. 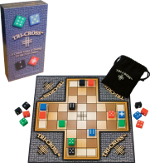 Tri-cross is available at the Games for Competitors website and can also be found in stores in about 25 different states. The game is available in 3 different editions with 3 different prices. Would our family purchase this? Absolutely! We love games and ones that add in a little math and strategy while still remaining fun are mom's favorite choice! You can also enter to win a Tri-Cross game here! Games for Competitors offers many more games to choose from as well. Don't forget to check out what my fellow crewmates thought of Tri-Cross. **Disclaimer: I received a free product in exchange for my review. The opinions here are my honest and true evaluation! I have to say, the fact that it can be played quickly is a huge selling point for me, I hate long-drawn-out games!! Thanks for your review!